Today is the last day of our Ten Days of Thanks-Giving. The event was inspired by Esther's post about a poetry form called the THANKU, a thank-you note in haiku form. We TeachingAuthors decided to sponsor the Ten Days of Thanks-Giving as an opportunity for our readers, students, and everyone in the Kidlitosphere to share their own thank-yous. We hope to make this an annual event taking place every November 20-30. Today, I'll share some of the thank you notes we received, and a roundup of links to sites where fellow bloggers posted their thank-yous. But first, I want to share my own THANKU. On Monday, Mary Ann wrote about being thankful for the Hive, a group of Vermont College alumni that we're both blessed to be part of. My thank you today is an appropriate follow-up to that post because it's to the woman responsible for my attending Vermont College: my teacher, mentor, and friend, Sharon Darrow. I've known Sharon for so long now that I can't even recall how we first met. However, I do remember the fateful day when we had lunch together and I mentioned my desire to take some advanced writing classes. Sharon encouraged me to apply to the Vermont College MFA program in Writing for Children and Young Adults instead. The idea terrified me. Who was I to try to get an MFA in writing? My undergraduate degree was in Math and Computer Science! But Sharon had such faith in me that I decided to take the plunge and apply. Little did I know then all the wonderful things my acceptance to VC would lead to. Thank you, Sharon. And thank you to all the wonderful writing teachers I worked with at Vermont College as a result of following Sharon's advice. I share my big Thank You to the MFA/Writing for Children program. It changed my life, personally and professionally. It brought my life's goal into focus, gave it purpose. And I walked away with treasured friendships. Thanksgiving is a time to be thankful, so let's eat and drink and be merry. It is a time to be with family and friends. Tammy, a kindergarten teacher who blogs at the KlingerCafe posted a thank you note to her student teacher on November 20. 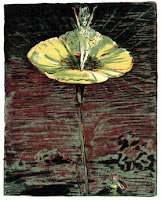 Author/illustrator Michelle Kogan shared an original Thanku Haiku on her blog on November 21. On the same day, Lisa Ard posted a lovely Thanku Haiku to her grandmother on her Adventures in Writing blog. Also on November 21, Brenda Ferber posted a terrific trio of Thanku Haikus on her blog, Fresh Baked Bits. 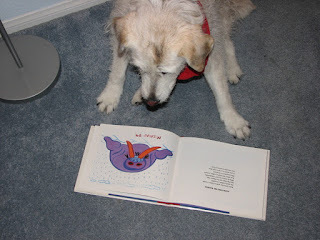 Finally, on Thanksgiving day, Margo Dill posted her Thanku Haiku to her parents on her blog. Love the humor, Tyler! Thanks so much for participating! Thanks again to everyone who took part in our Ten Days of Thanks-Giving. For those of you who'd still like to join in: it's not too late to send us your links and thank-you notes. I'll either add them to this roundup, or ask April to include them in her post on Friday. Inspired by Esther’s invention of the thanku (a thank you note in haiku form), we Teaching Authors are celebrating our first annual Ten Days of Thanks-Giving with poems in that form and others. When I thought about writing a Thanksgiving thanku, I started by brainstorming a list of possible topics—people, places, and things I'm grateful for. My gratitude list was impossibly long, so I decided to focus on that moment. Although it fits the syllable count and describes something I'm grateful for, this one doesn't feel like a thank you note. I went back to my list. In my poetry class this week, two students introduced me to new forms, so I decided to try them. The etheree has ten lines of 1, 2, 3, 4, 5, 6, 7, 8, 9, and 10 syllables—or in reverse, 10, 9, 8, 7, 6, 5, 4, 3, 2, and 1. An etheree with more than one stanza can include both. This form seemed to suit my long list of things I’m grateful for, so I chose some that fit the pattern. The lanturne is shaped like a Japanese lantern: it has five lines with 1, 2, 3, 4, and 1 syllables. Mine, like the thanku above, focuses on a moment. This one hits the spot for me because it feels more like a thank you note. The end came as a surprise, which is one of my favorite things about writing. Sometimes I don't know what I'm writing about until it comes out of my pen. Writing Workout: Write a Thanks-Giving poem. Teachers, invite your classes to join in! Try a thanku, an etheree, a lanturne, or another new form. See if you can express your thanks in 25 words or less. Then post your poems here or on any of our posts during our Ten Days of Thanks-Giving, November 20-30. Or send them to us by e-mail: teachingauthors at gmail dot com. Today's Poetry Friday roundup is at The Opposite of Indifference. Take a peek! Here on the TeachingAuthors blog, we've been discussing the classic children's books we never read till adulthood. 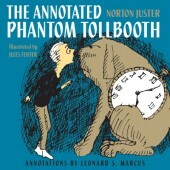 The series was inspired, in part, by Esther's interview with Leonard Marcus in honor of the release of The Annotated Phantom Tollbooth last month. 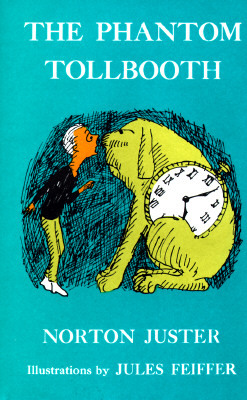 When Esther first told me about the new book, I felt a twinge of guilt--I'd never read the original Phantom Tollbooth. So I suggested this topic to motivate me to finally read Norton Juster's masterpiece. If you're wondering what classics and must-reads you may have missed, be sure to check out the links in the Writing Workout below. 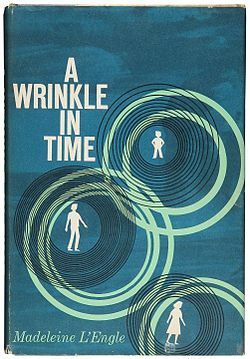 I wasn't reading yet in 1961 when The Phantom Tollbooth was first published, but that was no excuse for my not reading this classic. When, as an adult, I became interested in writing for children, I began reading voraciously in the field. Madeleine L'Engle's A Wrinkle in Time, which Mary Ann blogged about on Monday, was one of the many children's books I came to as an adult that I fell in love with. (Unlike Mary Ann, I'm somewhat of a Math geek, which made me love L'Engle's book all the more!) Yet, despite a number of fellow children's literature enthusiasts telling me that Tollbooth was one of their all-time favorites, I never made time to read the book, until Esther's interview with Leonard Marcus inspired me to do so a few weeks ago. I believe the combination of entertainment and enduring themes contributed to making The Phantom Tollbooth such a classic. I'm grateful to Leonard Marcus for bringing this book back into the spotlight. In case you missed the short video in which Norton Juster, Jules Feiffer, and Leonard Marcus discuss the book's creation, I've embedded it below, or you can watch it at YouTube here. 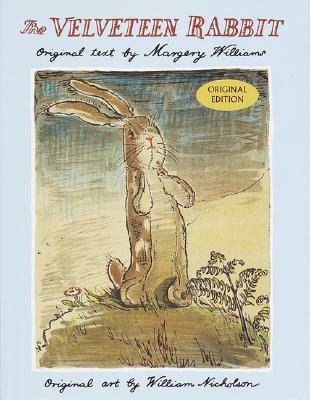 Are there any classic children's/young adult books you missed reading as a child or teen? If so, please share their titles in the comments below. And if you need suggestions of children's/YA books now considered "must reads," see the Writing Workout below. How well-read are you in the field of children's and young adult literature? Last year, Elizabeth Bird at School Library Journal's Fuse#8 blog took a survey of her readers to come up with a list of the top 100 Children's Novels. The Phantom Tollbooth is #10 on that list. Now that I've read it, I can say I've read all the top 10! However, I see that there are two in the top 20 I haven't read yet: #16 Harriet the Spy by Louise Fitzhugh and #18 Matilda by Roald Dahl. Time to check those out. If you are a picture book fan, you can see the results of her poll for the top 100 Picture Books, put together in 2009. If reader polls aren't your thing, this page links to lists of the best children's books as determined by a variety of organizations, including the New York Public Library, Publisher's Weekly, and the UK newspaper, The Guardian. Your assignment for this Writing Workout is actually a Reading Workout: Pick a genre and determine which of the books on these "best books" lists you haven't read yet, then read at least THREE of them! When you're done, come back and post a comment to any of our blog posts sharing your experience. 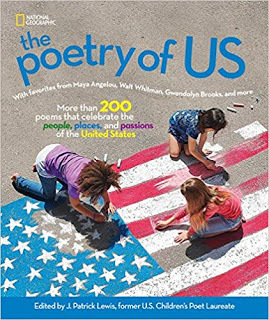 poets contributing to today's celebration, below! 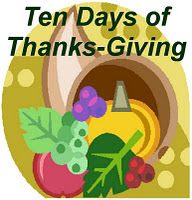 This year, Ten Days of Thanks-Giving will run November 20-30. It all began with our own Esther Hershenhorn's post about Thankus, which are thank you notes in the form of a haiku. It's lovely to sit for a moment (or drive my car without the radio, as I did) and think of the one person to whom you'd like to write a thank you note or poem. Write a Thank You Note or a Thanku poem! For November 20-30, we'd like to encourage you to take some "thank you time"...to try your hand at writing a thanku, or any kind of thank you note, 25 words or less. So: to whom are you grateful? A relative, that wonderful next-door neighbor, your hair dresser, a stranger, a teacher? If you're a teacher, why not ask your students the same question? And if you and/or your students are overflowing with gratitude and cannot wait one more minute, by all means leave your thankus or 25-word thank you notes in the comments below or email us at teachingauthors at gmail dot com! ...and remember to write with joy! P.S: Did you know that November is Picture Book Month? As promised, we're hosting Kidlitosphere Interview Wednesday here today! Below are links to recent interviews related to children's/young adult literature. If you have an interview you'd like to share with us, please post a comment containing the url. The interview should meet the criteria listed at the end of this post. 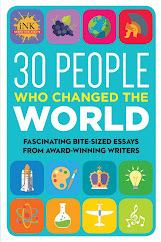 To start out, I'm excited to remind everyone about Esther Hershenhorn's terrific interview with teacher, author, and children's literature expert Leonard Marcus here on our TeachingAuthors blog last Wednesday. 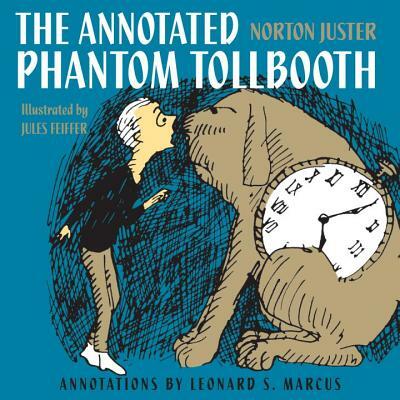 Leonard has just released The Annotated Phantom Tollbooth, which includes not only background information about the writing of the novel but also Leonard's own comments on the text. 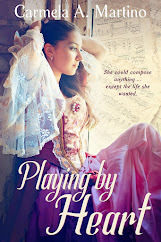 Read Esther's interview here for some fun (and funny!) behind-the-scenes stories, and be sure to enter for a chance to win your own autographed copy of The Annotated Phantom Tollbooth. Entry deadline is this Friday, November 4, at 11 pm (CST). Here's the round-up so far. I'll check back later to add more links as they're submitted. Tabitha at the Writer Musings blog shares a link to her interview with author Greg Fishbone on the release of his humorous middle-grade novel The Galaxy Games: The Challengers. Myra at the Gathering Books blog shared a link to her interview with Ken Spillman, author of the young adult novel Love is a UFO. TeachingAuthors' follower Lois Barr suggested we take a look at the Whole Megillah blog, which recently featured an interesting three-in-one interview with the author, editor, and illustrator of the picture book Sadie’s Sukkah Breakfast, written by Rabbi Jamie Korngold, edited by Joni Sussman, and illustrated by Julie Fortenberry. Yesterday, the Cynsations blog featured Lena Coakley's intriguing interview with Hadley Dyer, the newly appointed executive children's editor at HarperCollins Canada. Bruce Black at the Wordswimmer blog shares an interview with author Eric Kimmel on his writing process. 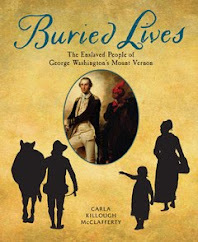 Dawn Simon at the Plotting and Scheming blog has an interview with picture book author George Shannon. 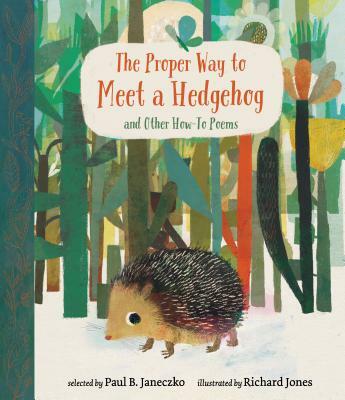 Did you know that November is Picture Book Month? There's a special website devoted to the celebration. Every day this month, the site will feature an essay by a picture book author and/or illustrator on the importance of picture books. While these aren't technically "interviews," they're definitely worth reading. 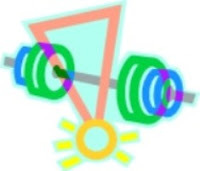 I've added the logo and link to the official website in the sidebar of our blog. You can also access the Picture Book Month site directly here. In addition to the essays, the site includes activities and resources for celebrating picture books. Now it's your turn! Do you know of an interview that meets the following criteria? If so, please post the url in the comments below. I'll check back later to add the new links you provide.